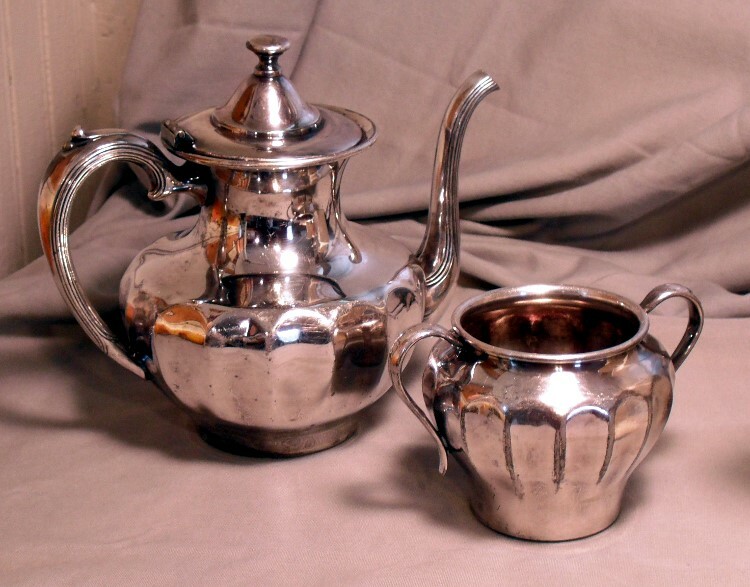 A flea market find, this silver teapot and sugar bowl cost less than $10. 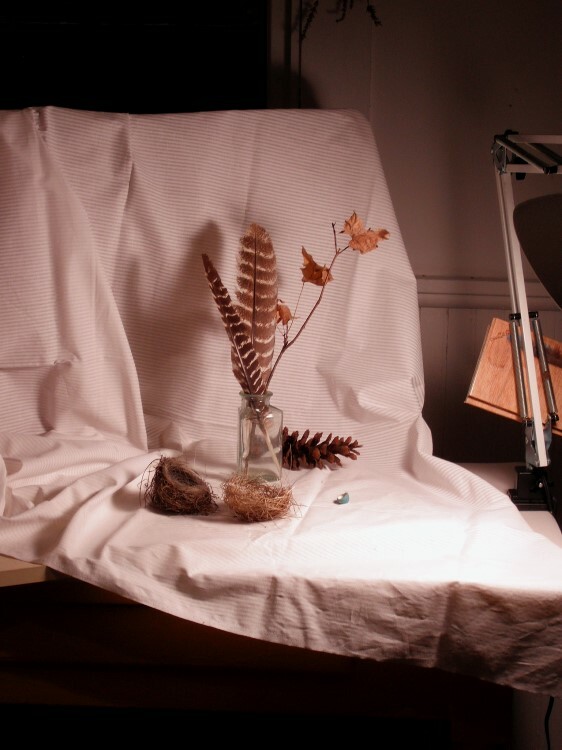 Setting up a still life involves a lot more than just placing a bunch of random objects on a table. 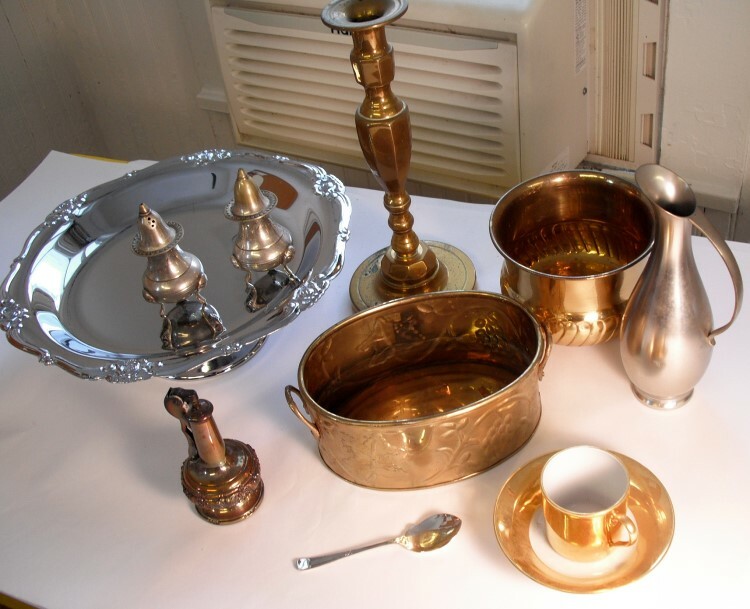 However, it helps to have a group of interesting items to provide inspiration. The big cupboard in the backroom of my studio. In addition to a sturdy table, I use a cutaway box on which I hang my cloth backgrounds. The box shown can be used vertically or horizontally. Sometimes I add additional smaller boxes to provide different levels for the objects. 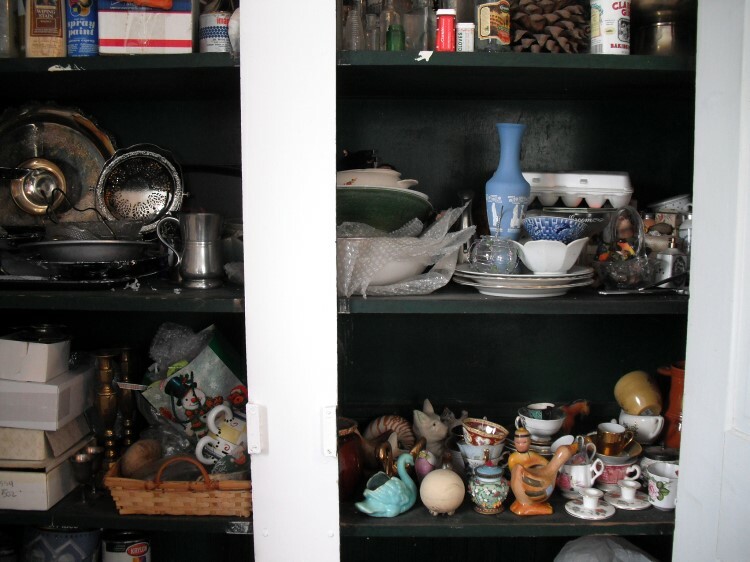 In the backroom of my studio (an old summer kitchen), is a very large cupboard where I store a multitude of brick-a-brac. 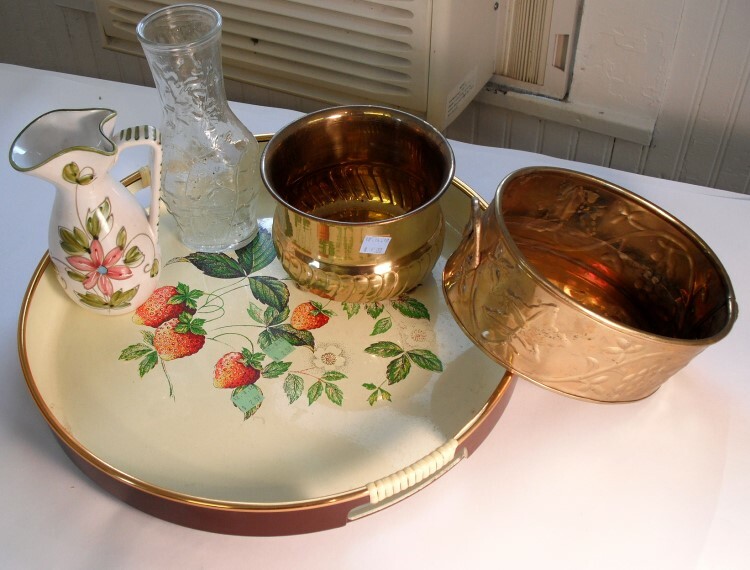 Some of these are family heirlooms or collectibles, however many are interesting objects that I’ve picked up at local resale shops, yard sales, and flea markets. I have to be careful not to get carried away but rarely spend more than a couple of dollars for anything. A box of a variety of fabrics also provides some interesting backdrops. Of course, just “shopping” through my house will provide plenty of paintable subject matter – scarves, throws, toys, and season things like fruits, vegetables and flowers. 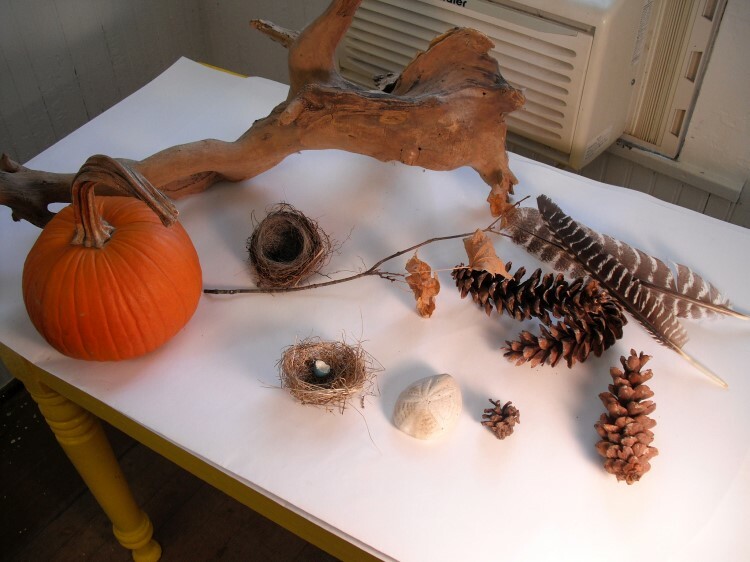 And I’m always on the lookout for natural objects with a particular fondness for feathers and bird nests. 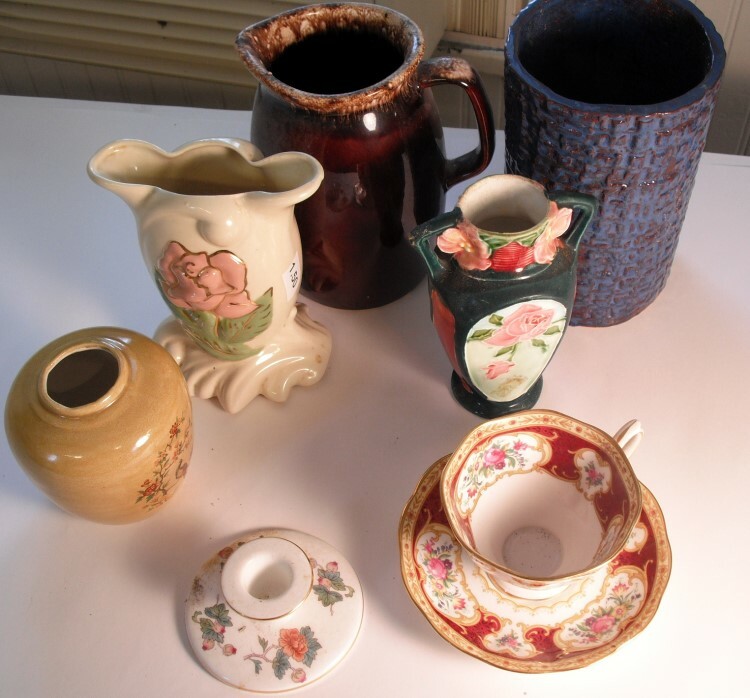 Small table for still lifes. 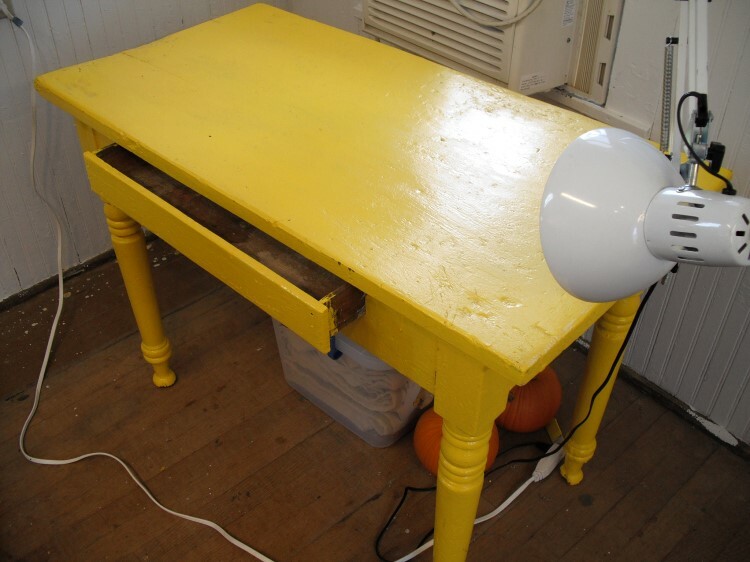 I meant to refinish this but the yellow has grown on me. 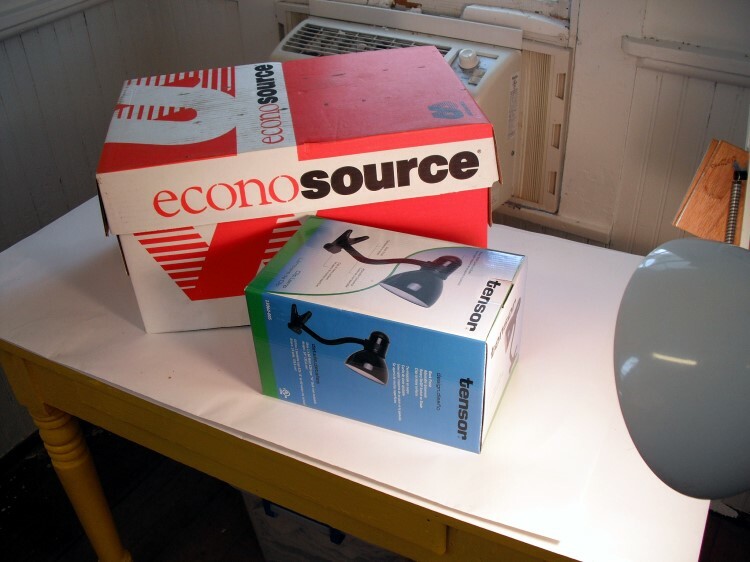 Small boxes to provide height or different levels in the set ups. A variety of fabrics for backdrops. 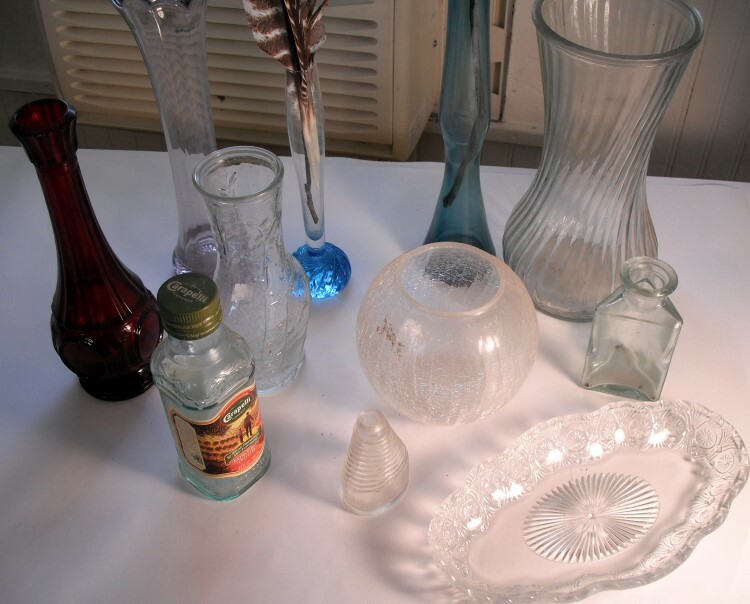 Many types of glass objects. Some have appeared in several paintings. 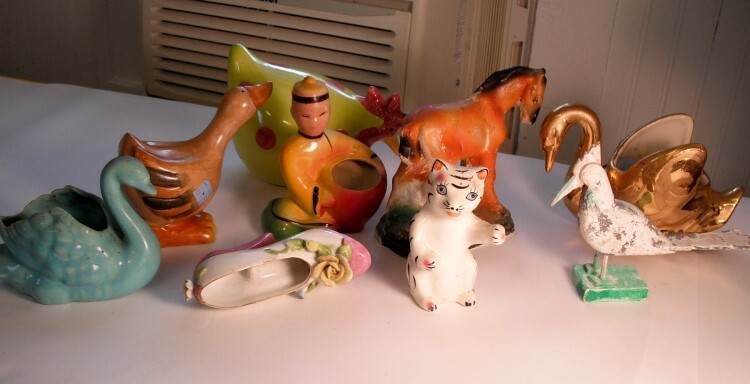 Figures add interest to many still lifes. Typical still life set up. Notice the box with the drapery. Hello, Shoshana. Thank you for your inquiry. I buy fabric from the local discount store and usually buy two yards of a variety of colors and patterns. If I don’t like the pattern, I just concentrate on the color. 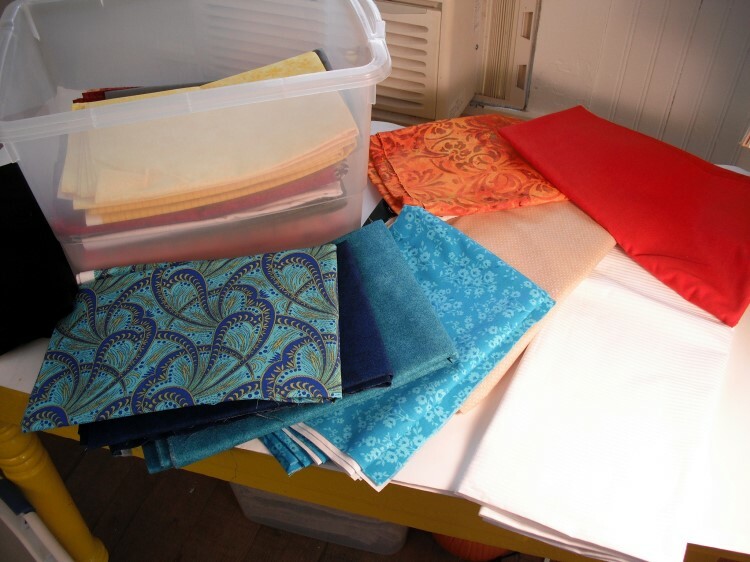 I have also been known to go through my closet and use a skirt or blouse or scarf as a still-life fabric. I think you could even purchase used clothes from your resale shop with this idea in mind. Good luck and thanks for getting back to me.